Born and raised in Bakersfield and a graduate of North High School, Greg entered the insurance business in 1979 joining his father, owner of Sceales and Associates Insurance Services. After 25 years, Greg purchased the agency in 2004 upon his father’s retirement. In July of 2008 Greg merged Sceales and Associates with Fallgatter Rhodes Insurance Services creating a stronger more diversified agency. 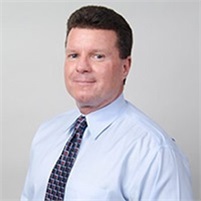 With 30 years experience, Greg enjoys consulting with his clients, providing insurance solutions for the purpose of protecting their commercial and personal assets. Greg has strong ties to the community, loves spending time with his family riding motorcycles, playing with their sand toys and training at the gym. Greg and his wife Joni have raised their son, Zach, who is a senior at Cal-State Bakersfield majoring in business.